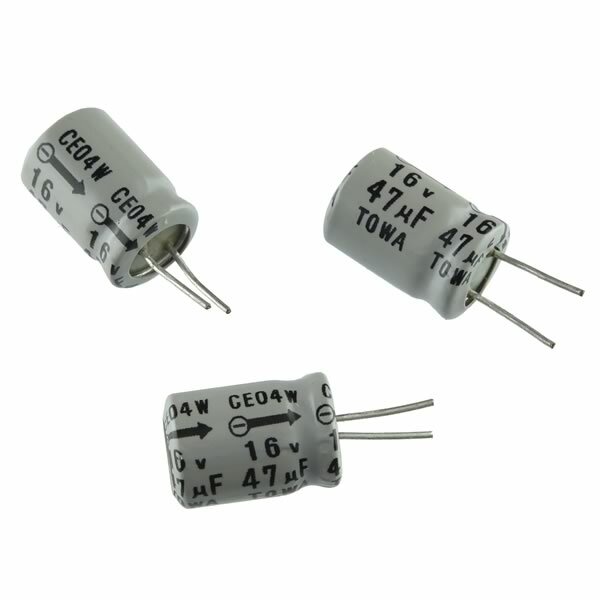 Small 47uF 16VDC electrolytic capacitor. Size is 0.32" diameter (8.11mm) x 0.452" tall (11.5mm). Has short PC radial leads. Manufactured by Towa. Marked CE04W 16V 47uF TOWA. Sold in a package of 25.